Almost one in 100 UK births leads to a stillbirth or newborn death and up to 100 women die each year during or just after pregnancy. The programme investigates the deaths of women and their babies during or after childbirth, and also cases where women and their babies survive serious illness during pregnancy or after childbirth. 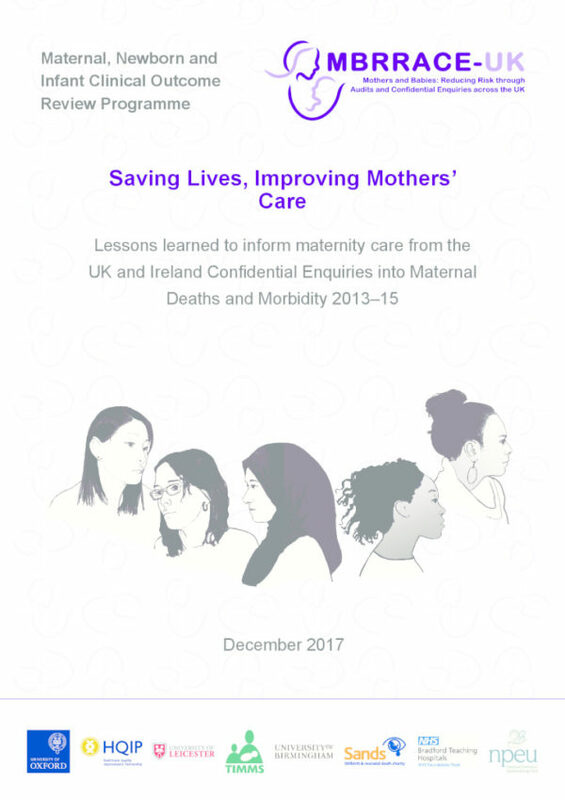 The aim is to identify avoidable illness and deaths so the lessons learned can be used to prevent similar cases in the future leading to improvements in maternal and newborn care for all mothers and babies. 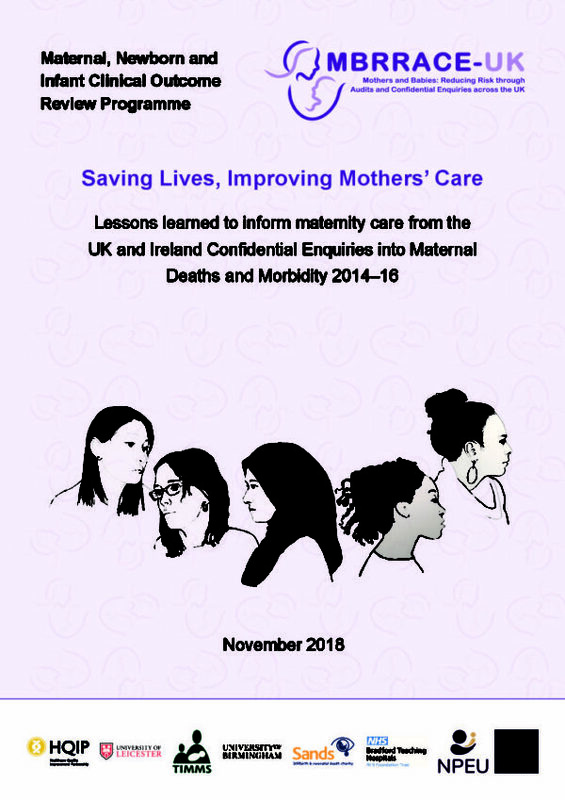 The programme incorporates the Confidential Enquiries into Maternal Deaths (CEMD, established in 1952). CEMD is recognised as having led to major improvements in the health and care of women and their babies and was most recently carried out by the Centre for Maternal and Child Enquiries (CMACE). 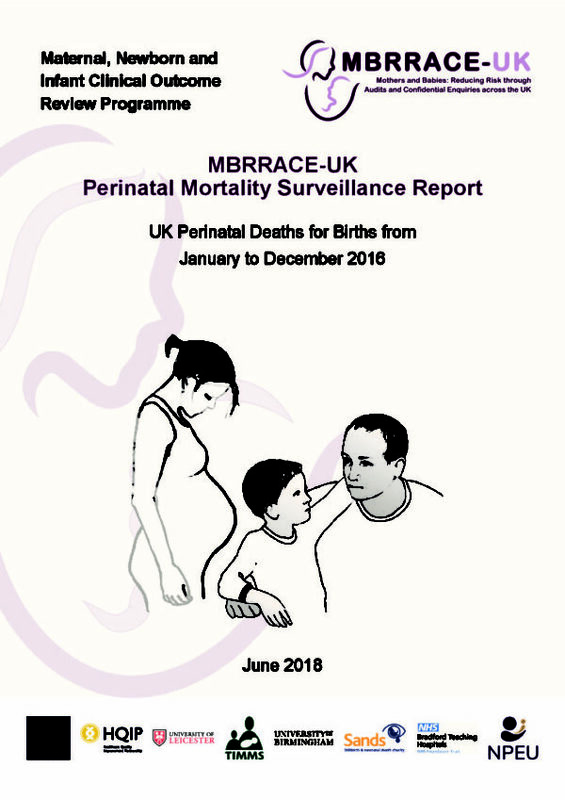 June 2012 saw HQIP appoint MBRRACE-UK (Mothers and Babies – Reducing Risk through Audits and Confidential Enquiries across the UK) to run the national Maternal, Newborn and Infant Clinical Outcomes Review Programme. MBRRACE-UK is led from the Oxford University’s National Perinatal Epidemiology Unit (NPEU) and builds on existing research projects, including the UK Obstetric Surveillance System (UKOSS) led by Professor Marian Knight at the NPEU, and The Infant Mortality and Morbidity Studies (TIMMS) group led by Professors Elizabeth Draper and David Field at the University of Leicester. Professor Jenny Kurinczuk at the NPEU is leading the MBRRACE-UK team. Data collected on behalf of HQIP by all NCAPOP projects is routinely reported and these reports are available in the ‘Latest resources’ section.